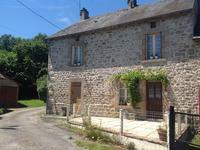 Lovely maison de maître property with a 3 bedroomed gite, in ground pool, barns garden and land. 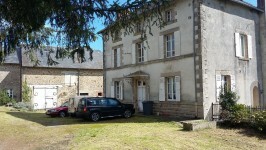 Maison de maître with private parking, set in a stunning position with beautiful roaming . . .
Set in a very pretty village is this 3 bedroom terraced property. The village has a bar, . . . Beautifully presented, detached house with 4 bedrooms, outbuildings, garage and 2690m2 of . 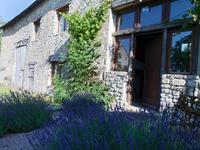 . .
Lovely maison de maître, in-ground pool, barns, garden and land. Beautifully presented semi detached 3 bedroomed property, far reaching views. Situated down a . . .
Gorgeous stone property respectfully renovated to a very high standard and in keeping with . . .
Detached barn for conversion, close to electrics, water, drains. lots of opportunities, under 1hr from Limoges airport. Detached Large barn, garden and opportunity to buy more land. Situated just outside a small . . . Beautifully restored property with amazing views, lovely seating areas lots of garden and . . .
Property is situated just on the edge of a small village with amenities in walking distance. . . . Attractive country house, 6 bedrooms, fully renovated, heated outdoor pool, 2 entrances and it's own courtyard! Stunning 6 bedroom property with an outdoor heated pool. 2 separate entrances leading to a . . . Village house with open plan lounge dining area, small kitchen, new bathroom suite and 2 bedrooms, garage and gardens. Nice village house with open plan living lounge dining areas, separate kitchen, 2 bedrooms . . .
Nicely renovated cottage, keeping lots of original features. Beautiful views from the rear, . . . This large detached 8 bedroom property has a lot to offer. There is a small house for . . .
Terraced 3 bedroom house situated in a pretty village with basic amenities, This property is . . .
Complex of barns and outbuildings set around a courtyard, connected to mains drains and . . .